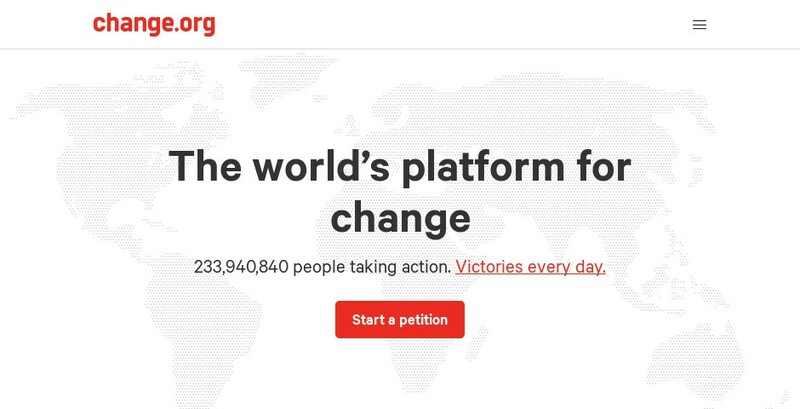 Change.org is the world's largest petition platform, empowering people everywhere to start campaigns, mobilize supporters, and work with decision makers to drive solutions. Founder and CEO Ben Rattray decided to start Change.org after his younger brother told him he was gay. “He told me about the pain he experienced as a closeted and confused young gay man. But what hurt the most weren’t the people who were actively anti-gay, but the people who passively stood by and refused to stand up and speak out against them—people like me.” Ben realized that he hadn't been doing enough and set out to build a platform that helped people take action on issues meaningful to them and their community. As we got started as a platform, there were many challenges and learnings. The biggest was just wondering if people would start and sign meaningful petitions. It turned out we didn't have too much to worry about. The powerful stories people told on Change.org have resulted in us growing to over 200 million users in 196 countries. We see victories on our platform every single day. Sometimes that's as big as passing a federal law or pushing a corporation to change a business practice, and other times it's as small as saving a local park. That inspires us every day to build a free platform that gives people the tools to make change.